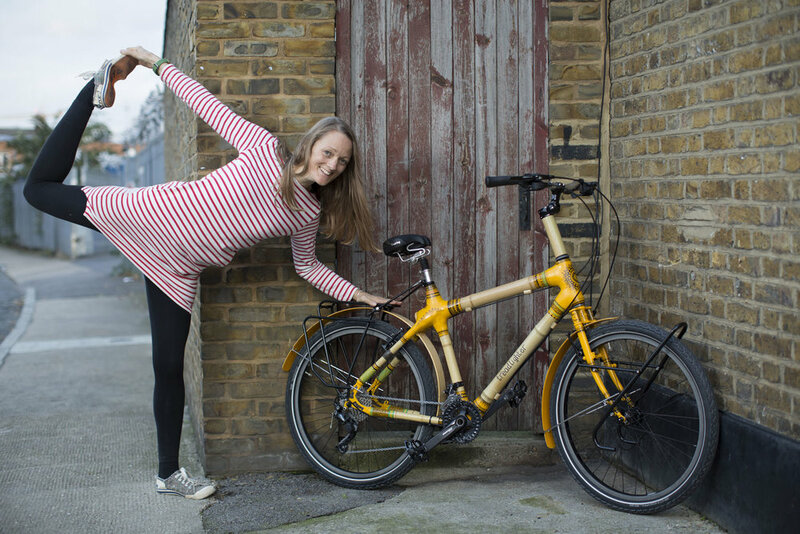 EC Member Libby Bowles is making her very own bamboo bicycle to cycle around the world to raise awareness about (and trying to lessen) plastic pollution in the oceans. Libby has witnessed manta rays coughing up plastic as they tried to feed on plankton. She has seen the plastic-filled stomachs of dead turtles and sea birds, poached turtle bones hidden amongst sand dunes, swum with marine animals bearing the scars of propellors and fishing lines; some still ‘wearing’ fishing nets and other manmade debris, others just wearing the scars or missing entire appendages. "When you see stuff like that on TV, it’s horrific. When you see it in real life, it eats away at you and you can’t get it out of your thoughts." Libby will be starting with cycling the length of New Zealand, visiting schools and other organisations to share her experiences, discuss ways we can all make a positive difference and organise beach and river cleans. Having lived in New Zealand from 2007 until 2011, Libby was shocked that this country, which she had always considered very ‘clean and green’, was only just introducing recycling in 2007. So, now she's going back to see just how clean the beaches and rivers are, learn about the most common kinds of pollution and what can be done to reduce the waste before it gets to the waterways.